Watch equine veterinarian Dr. Steve O’Grady discuss three common skin issues seen in horses and how these conditions can be treated. This video is brought to you by SmartPak. First and foremost, equine veterinarian Dr. Steve O’Grady outlines how daily grooming and cleanliness of equipment help prevent skin issues. He then describes three of the most common conditions—dermatitis (including scratches), ringworm, and rain rot—and outlines how to identify each of these issues. Dr. O’Grady also explains treatment options available both at home and with assistance from your veterinarian, as well as what horse owners can do to help prevent these afflictions from affecting their horses in the first place. This video is brought to you by SmartPak. Dr. Stephen E. O’Grady, DVM, MRCVS, is a veterinarian and farrier specializing in equine podiatry and therapeutic farriery. Originally from Newtown Square, Pa., Dr. O’Grady started his career as an apprentice to International Horseshoeing Hall of Fame farrier Joseph Pierce in West Chester, Pa., prior to attending veterinary school. He earned an undergraduate degree in biology from Haverford College and a veterinary degree from the University of Pretoria in South Africa in 1981. Based in Keswick, Va., Dr. O’Grady opened his referral practice, Virginia Therapeutic Farriery, in 2014. The practice is devoted to equine foot disease and therapeutic farriery. 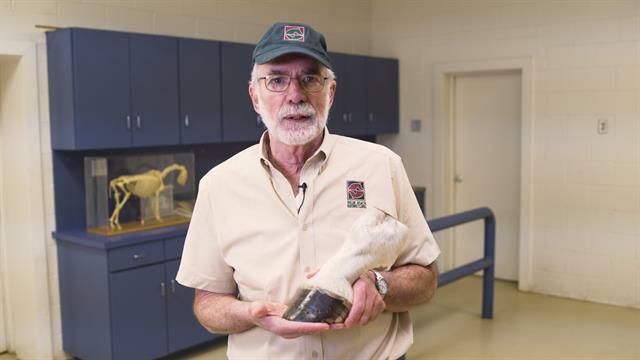 Using his skills as a veterinarian and farrier, Dr. O’Grady brings the veterinarian’s knowledge of anatomy, physiology, and biomechanics and the farrier’s perspective on how and why to apply it. In 2015, he joined the Palm Beach Equine Clinic in Wellington, Fla., for the winter show season as a consultant in therapeutic farriery. Keep up with Dr. O’Grady on Facebook.